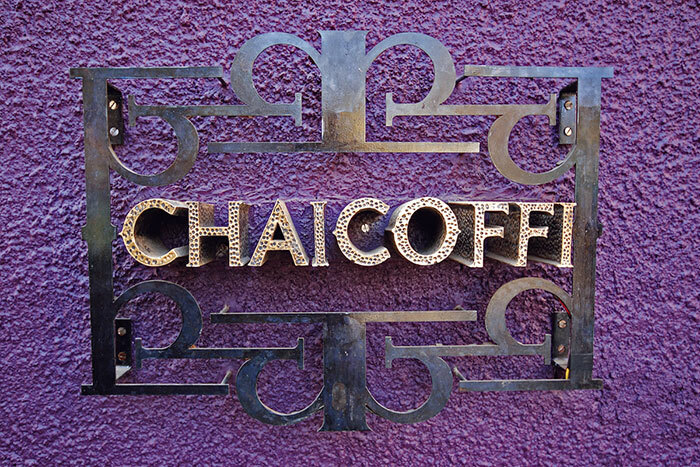 Chai Coffi, the new venture by Dor actress Ayesha Takia and her businessman husband Farhan Azmi, blends western modernity with Indian earthiness. They offer the humble chai in all its glory and essence from the classic Assam tea to the much in demand organic tea and a wide selection of coffee concoctions for caffeine enthusiasts. 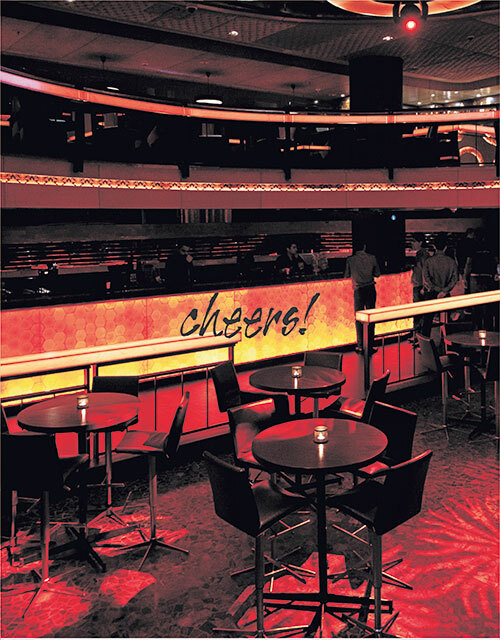 The place calls for relaxed and casual conversations with friends and family. The charming yellow and red kettles placed high on the mantelpiece give the otherwise sombre interiors a zesty feel. Victorian furnishings add a a quaint touch of old world Britain, as if to justify drinking tea in today’s modern times and the occasional dash of purple keeps the spirits soaring. 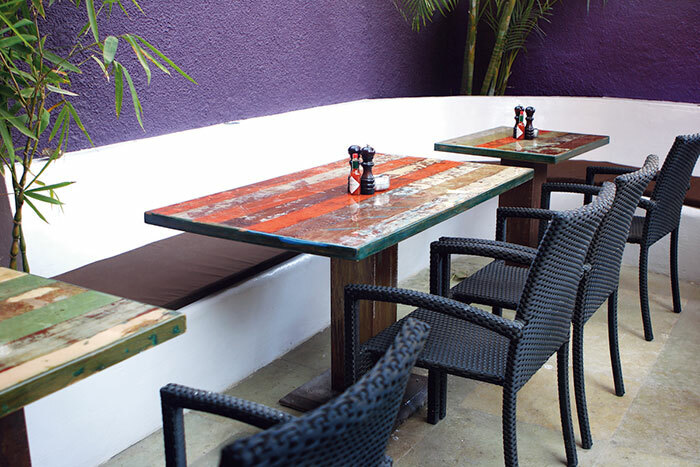 A spacious al fresco seating allows you to enjoy a cuppa by the cool sea breeze in the sultry summer evenings. Keeping it simple yet authentic is their mantra. Totally in tune with the masala chai and the assortment of coffee blends are the quick munchies – Irani brun maska and nan khatai that take you back to a generation. The whole wheat khari, Arabic hummus and the ubiquitous pizza add a contemporary touch. Ayesha Takia, avid traveller, and self-confessed foodie, is slowly turning into a hands-on entrepreneur for her debut venture. “When you are doing up your own restaurant you realise how tough it is. Everything from the colours of the walls, to the design of the tables and the chairs is such a tough decision,” she beams proudly. One of Bandra’s most endearing features in the past was the rows of opulent colonial bungalows that gave the whole area a traditional Raj feel. 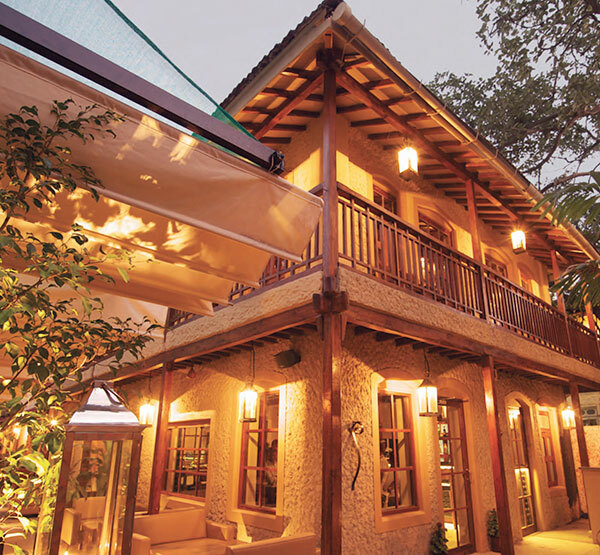 Taking you back to that era is the swanky Bungalow 9. Sprawled over 20,000 square feet, the restaurant is a huge wooden structure surrounded by trees. 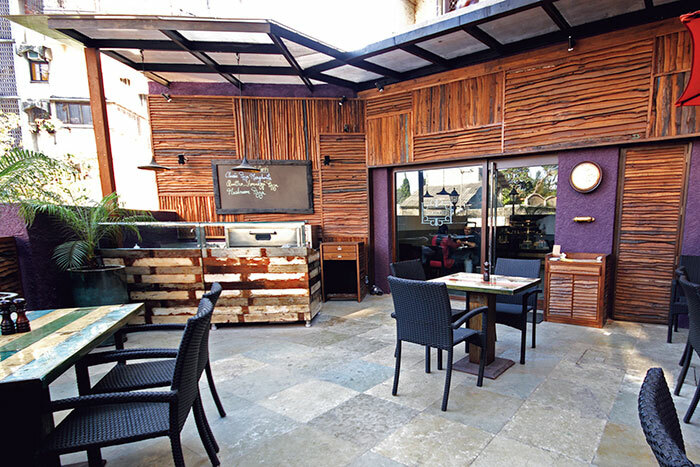 From an English tavern-style lounge to the elegant indoor dining, the open air courtyard to the private dining rooms, Bungalow 9 is a destination where all the chic elements perfectly fit in. While the courtyard and the restaurant are subtly yet elegantly furnished, the lounge has contrasting colours giving it a classy look. The wine coloured cushions, flooring and the wine cellar at the private dining room add a lot of character to the area, a reason why it is internally also called the Vineyard. In fact, the al fresco dining area with its huge couches, box lanterns and potted plants almost transport you to a lush hill station for some brief dreamy moments. 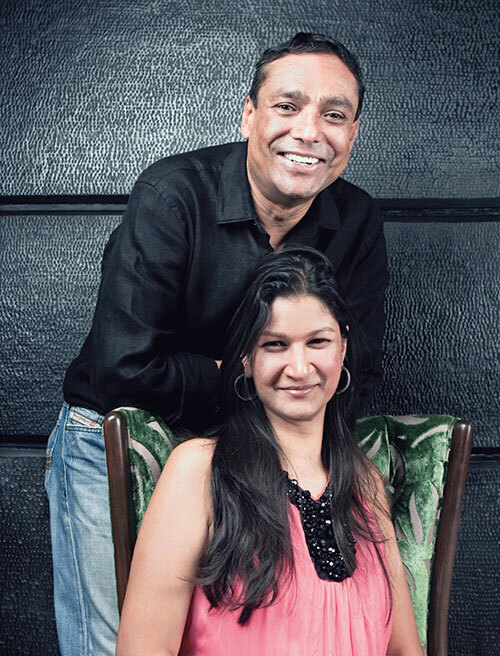 Bang in the middle of all the hustle bustle of Mumbai’s trendy SoBo district lies The Table, Jay Yousuf and Gauri Devidayal’s swish eatery, offering gourmands and food aficionados a place to savour the globally inspired cuisine in community style or at seperate tables. Drawing its name from the 20-foot, cross cut Burma Teak table that extends from the bar to the community table with revolving bar stools, The Table makes for an ideal ambience to participate in a stimulating conversation with friends and strangers alike while devouring the sumptuous lavish fare that is accompanied by the finest of imported and local wines. 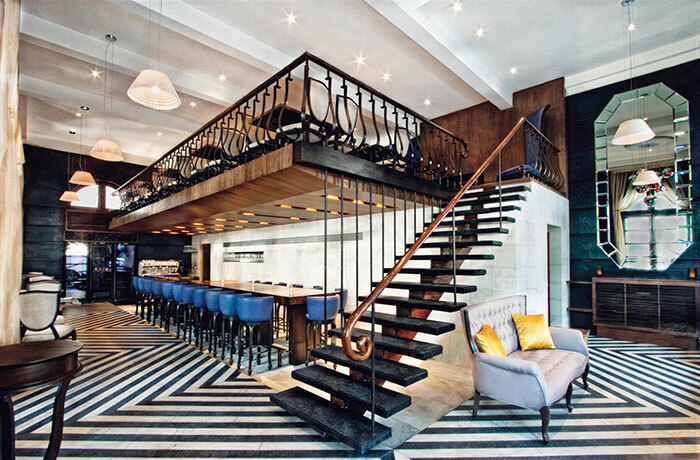 Designed by New York based architect, Tarik Currimbhoy, the plush restaurant is a fascinating orchestration of bold strokes of form, pattern and colour, complemented by pendant skirt lights from the ceiling and gleaming black Victorian Bombay arches. 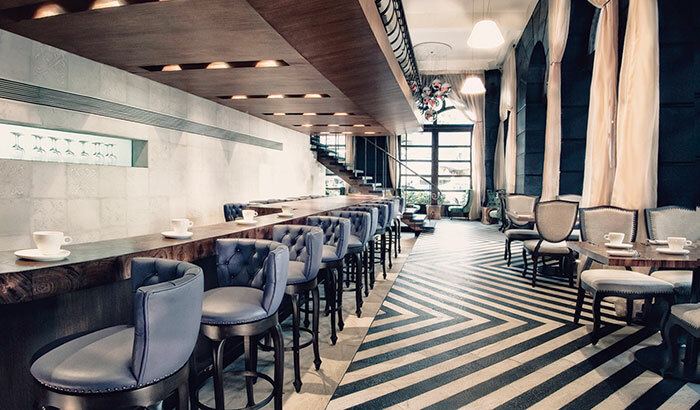 The beige-brown walls adorned with colourful abstract art, black and white hand chiselled stone Chevron floor and a floating mezzanine with its musical notes shaped railing – come together in perfect harmony to create a San Francisco-inspired wine bar. 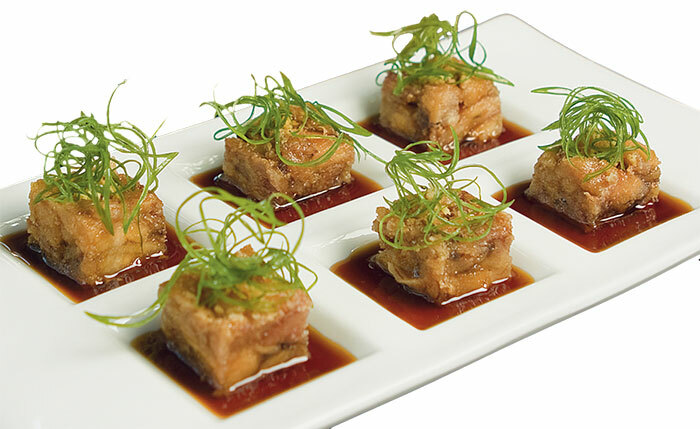 The global menu reflects the San Francisco style of cooking that ensures every dish is distinctively unique in flavour and texture. 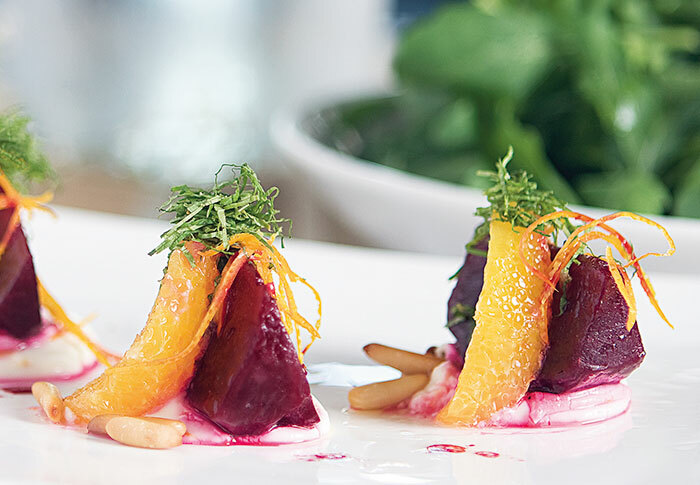 From the roasted red beets salad to zucchini spaghetti, pumpkin ravioli with sage-brown butter to New Orleans’ style lobster and shrimp cake with creole remoulade or the boneless chicken wings with chilli-garlic sauce – the portions, presentation and tastes are simply exhilarating. 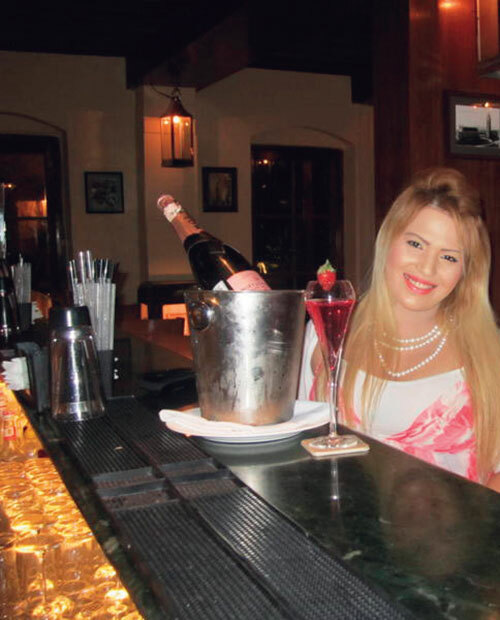 The bar offers an array of imported and local wines that are served half a glass at a time, allowing one to appreciate more of the elaborate selection. For those who love their food and drink accompanied by engrossing friendly banter, Canvas, a sprawling space spread over two levels is just the place to be in. Presented by Amar Agrawal and Don Ward, the dynamic duo who gave India its first stand up comedy destination, The Comedy Store, Canvas focuses on giving their patrons a memorable dining experience in an impressive, colourful environment where the scintillating play on lights and music add to the ambience. 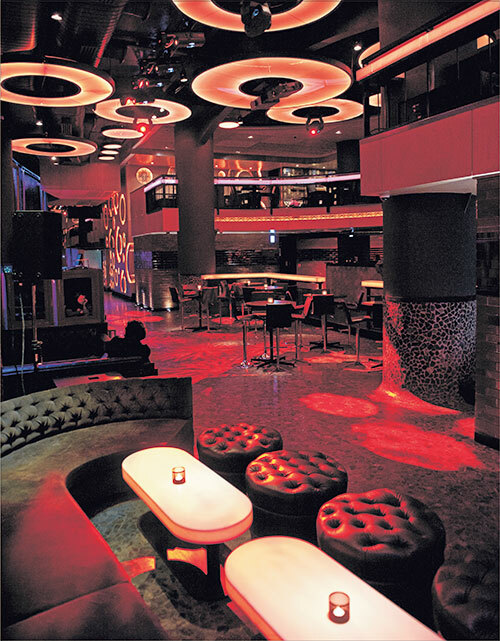 Their cutting edge industrial design and the surplus options of entertainment from the lounge bar to the terrace grill, from the smoking room to a plush ‘powder room’ clearly takes it a league above the rest. 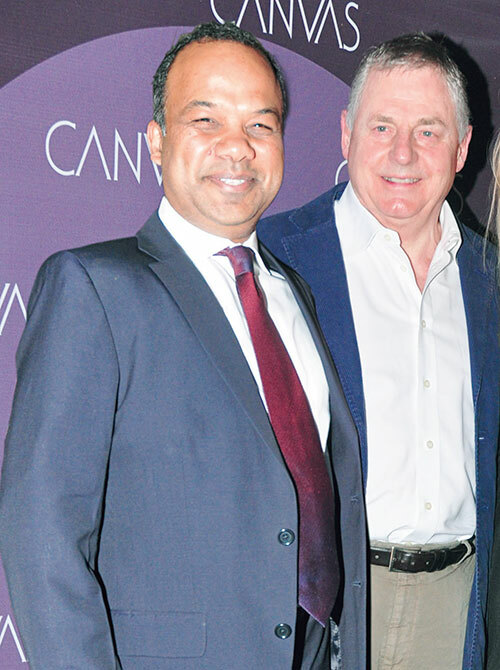 Canvas has a nouvelle dinning menu with influences from Europe and Asia and a diverse mix of gourmet specialties. 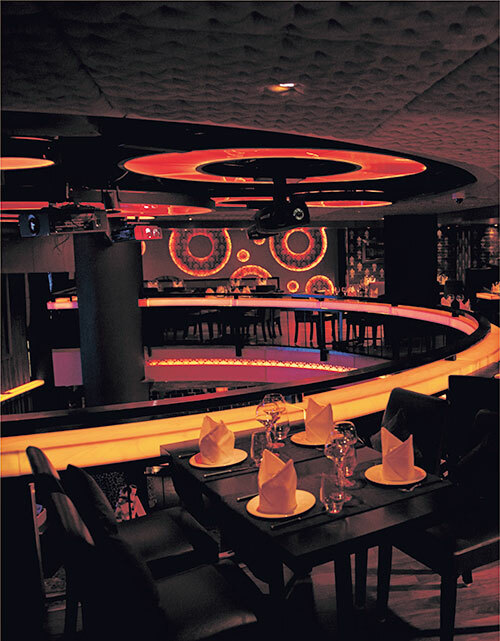 Adding a touch of finesse, is the indigenous flamboyance with which food is served, accurately standing true to their motto of making the lush restaurant a place ‘where food becomes art’.